Contact me for radio interviews, informative seminars, panel discussions and how to events. 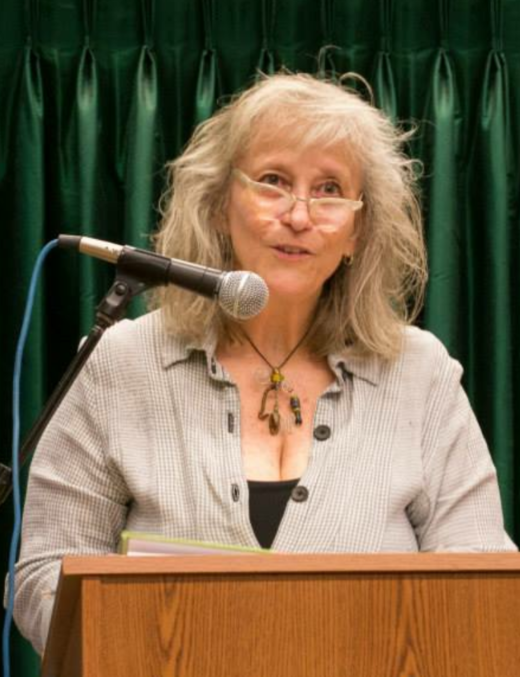 I can be hired to speak at your company, publishing organization or writers group, in person or by teleseminar, on the following subjects: general Q&A; book design for covers and interiors; self-publishing; branding; marketing and promotion; social media; and how to create a web-presence. Bo Hudson at KMPS/CBS in Seattle, I am one of three interviews for my “Got Shui” book. Vibrant Living, U923fm.com Glenn Brooks, designing a book cover. Discussion following the design of a cover for his Co-Host Michael J. Russ’ new Audio Book. MADE IN THE VALLEY Networking group: Panel discussion on branding with Libby Gill, Gail Lara, Robin Quinn, KarrieRoss. 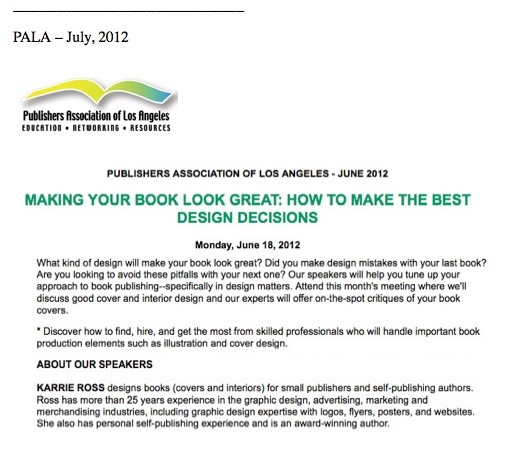 PALA: one of three book designers for a panel discussion on cover design and the self publishing process. 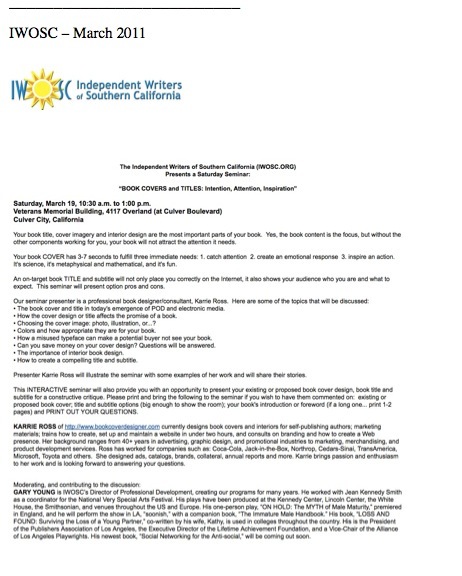 IWOSC : 2 hour seminar on book cover and interior design, lively Q&A session. 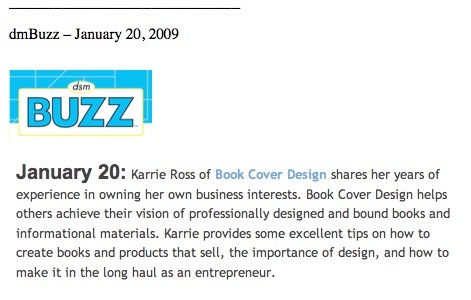 Discussion covered items that help your cover get noticed, backcover copy, how to decide on an image and title and subtitle creation. My speaking and presentation focus is on general over-all concepts, execution and motivation. Contact me if you feel I would work for your event.